Greenwich Catholic School held its first Community Service Fair on October 15. Our families and students connected with several local non-profit organizations that need volunteer support and share our values. To read more about this inaugural event and the non-profit participants, click here. Thank you! 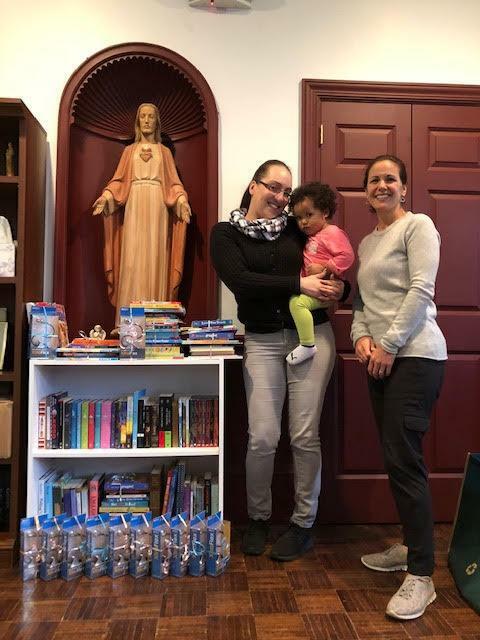 Your generosity provided $2,000 worth of books to the mommies and babies at the Malta House! We were able to build a small library for the mothers’ leisure reading at the Malta House. We also created gift bundles of baby and children’s books for each of the babies. We provided enough bundles for all current residents and the next year’s future residents.